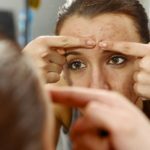 Home » Articles about our Treatments » What Does Our Skin Do? What Does Our Skin Do? Over the past several weeks, we’ve been blogging about the various skin conditions that may cause people irritation, discomfort or embarrassment. 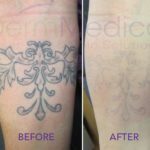 We’ve also discussed a number of excellent methods of dealing with those issues – all of which can be expertly addressed by dermatologists at your local skin care clinic. But what, after all, is the purpose of our skin? Is it just a sheet that holds all of our insides in? And, if so, thank goodness for the handling of that job alone! Oddly enough, our skin is incredibly important to us all, even if we don’t think about it with much attention on a daily basis. We moisturize it, shave it, wash it and some of us even tattoo it, using it as a platform of self-expression and individuality. And God forbid a pimple or blemish of any kind should appear on the skin of our faces! Half of us won’t want to leave the house on a day that happens! So evidently, skin is of great importance to us all. But as I asked earlier, what is its true purpose? There is, in fact, many functions to human skin. One of its primary jobs is to regulate heat. Your skin is your body’s air conditioner – so to speak. When you’re hot, it allows your body to sweat – a process that produces moisture that, when evaporated, helps the body to cool down. You may think that sweating is a stinky ramification to playing sports or partying it up – but it serves a healthful purpose after all. The excretion of perspiration, by the way, is also a way that your skin helps the body to get rid of waste materials. This is why some people sing the praises of sauna use as a method of eliminating toxins from the body. However, it would be wise to consult a doctor before spending any long durations in a sauna. Absorption is another function of the skin. Of course, while it allows your body to emit sweat, it also serves as a barrier to foreign substances entering the body. More than an air conditioner, your skin is also your very own force field! Now, as we all know, it’s not a sheet of armor, so protection of your skin is a necessity at all times. Speaking of your skin’s protective services, its fat cells also provide insulation that help to protect the organs against external trauma. As well, you may not realize that your skin is also a self-moisturizer. Through what’s known as the “sebaceous glands”, skin secretes oil that works to lubricate itself to maintain optimum health. Finally, your skin is what provides your body with its sensations. Its nerve endings help you to feel heat and cold, pleasure and pain! So what would we do without the largest organ of our bodies? Fall apart, no doubt! If you have any questions or concerns about your skin, contact a dermatologist and learn more about what keeps us all together!